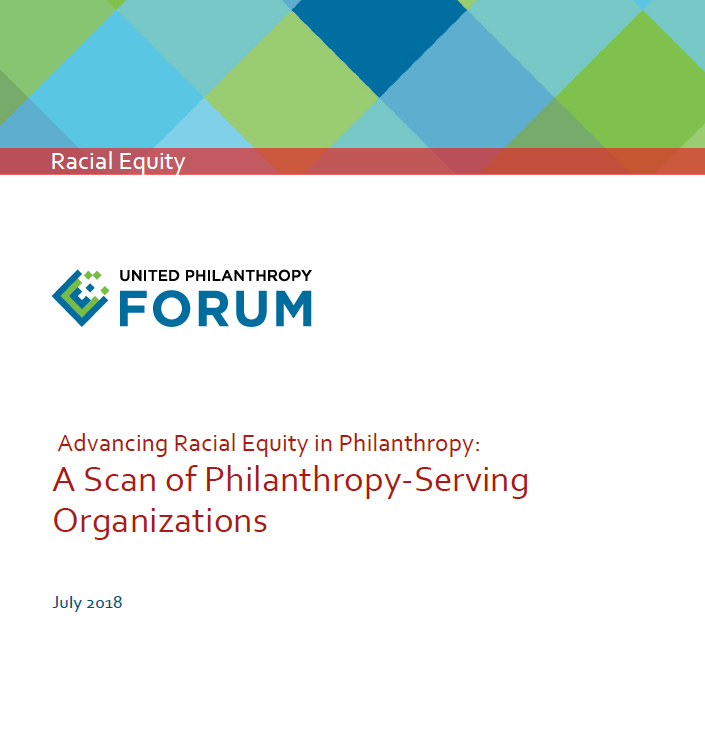 United Philanthropy Forum conducted a scan of regional and national philanthropy-serving organizations (PSOs) in February through May 2018 to get a more comprehensive understanding of PSOs' current work and future needs to advance racial equity in philanthropy. The scan involved both a survey that asked about PSOs' current work, future needs and greatest challenges in advancing racial equity, plus in-depth interviews to discuss what it takes to do this work effectively and to identify their key challenges, barriers and opportunities for addressing systemic inequities. The scan reflects the input of 43 regional and national PSOs that participated in the scan survey and/or the scan interviews, representing more than half of the Forum's membership. The scan report includes the Forum's plan for action to respond to the scan's key findings. The Forum's racial equity scan was made possible in part thanks to support from the Ford Foundation and W.K. Kellogg Foundation. Copyright 2018 by United Philanthropy Forum. All rights reserved.